A candle wax reading is similar to reading tea leaves, but instead of reading symbols and messages formed by wet tea leaves inside your teacup, it's the candle drippings formed in water that we interpret. No matter what type of divination tools you use, two basic elements are required: 1) A Question and 2) An Answer. Gather the supplies needed (water, scrying dish, candle, matches, paper, and pencil) for your candle wax reading session. You can use tap water or fresh water. If the water is drinkable, then it should be just fine for your candle wax reading. You can use just about any type of container in place of a scrying bowl. It is best to use a cup, bowl, or shallow dish made from natural materials. Ceramic or glass are good choices. You can also use an abalone shell if you like. Avoid using plastics or aluminum containers. Sit with your thoughts. Meditating for a few minutes before you begin will set the mood for quiet reflection. Write your question down on a piece of paper or notepad. Fill your scrying dish with clear water. The water should be cool or room temperature. Sit at a table with the dish sitting in front of you. Alternately, you can place the dish on the floor if you wish to sit in the lotus position during your reading. Light the candle wick. Holding the candle over the dish allow the candle wax to drip into the water. Don't move the bowl or touch the water. Let the wax and water blend naturally. After a few moments blow out the candle and set it aside. Sit quietly while you peer into the water to review the candle wax drippings. Take care to look at the shapes and the fluid movement of the floating wax particles. Individual clumps of wax may look like animals, objects, or numbers. Also, look at the drippings as a whole to see if they are forming a complete picture. It may appear like a piece of abstract artwork that speaks to you. Allow your intuitive self to form impressions about the various wax formations. Thoughts and impressions can be fleeting so consider writing them down as they come to you for future scrutiny. Interpretation helps: Numbers can indicate days, weeks, months or even years. Letters can represent clues to a person's name or place. A circle could indicate the end of a cycle, such as a completed project. A cluster of dots might indicate a group of people. If there is one formation sitting a distance from the rest of the drippings it could represent isolation or going off on a distant trip. There are no right or wrong ways to interpret the candle wax... have some fun with it! Choose a candle color that contrasts with the color of your scrying bowl to better see the wax formations. The more you practice the better you will become at intuiting the answers to your questions. 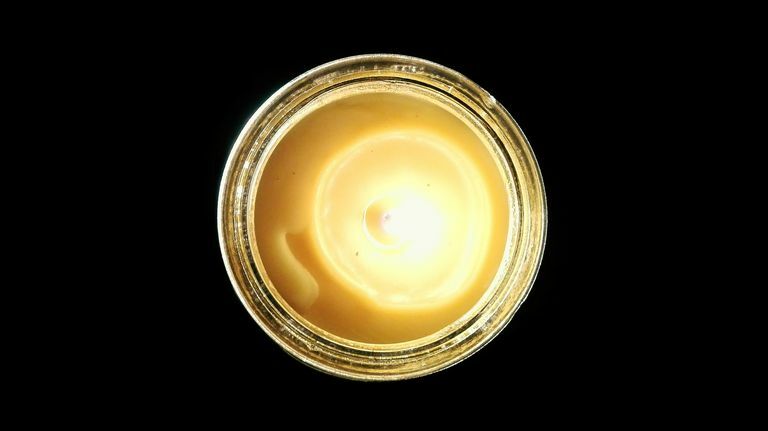 Candle waxing can be used as a sun and moon ritual. Set the water-filled dish outdoors under the moonlight overnight to soak up lunar energies. At sunrise or early morning do your reading outdoors in the sunlight.